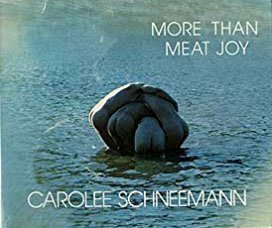 Schneemann’s remarkable “More Than Meat Joy” documents a large portion of this performance artist’s career: 1958 to 1977. The book is particularly rich because it uses the artist’s own documentation: photos, notes, sketches, commentary, and script-like documents. Text: McPherson Bruce. cm 27×22; pp. 288; BW ills. 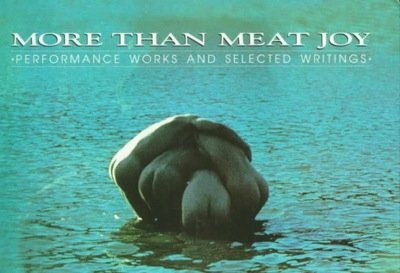 ; hardcover with dust jacket. Publisher: Documentext, New York, 1979.